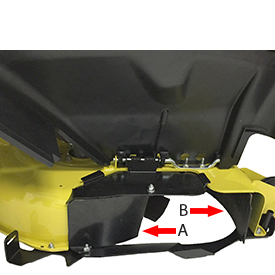 An optional 6.5-bu (230-L) cut-and-throw rear bagger material collection system (MCS) is available for use with the 42-in. 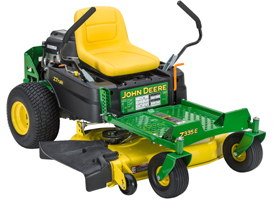 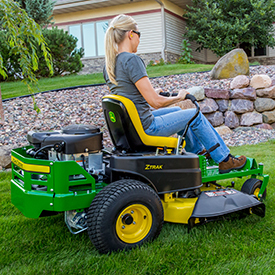 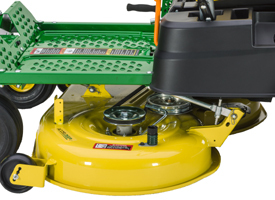 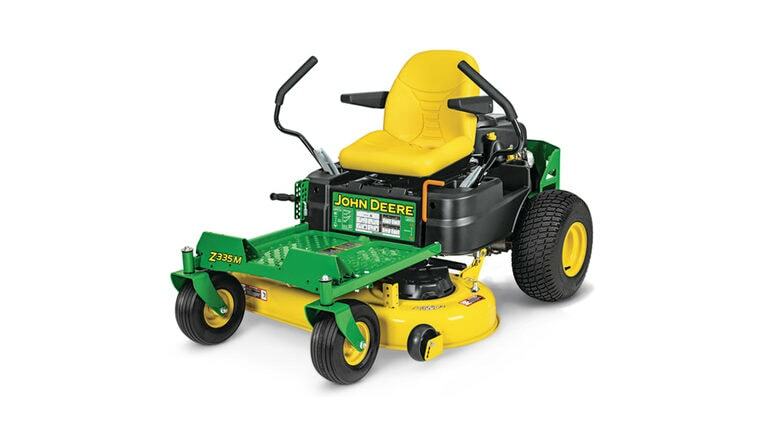 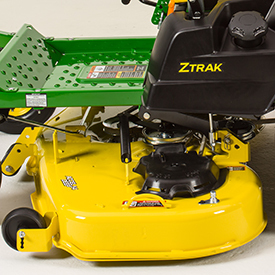 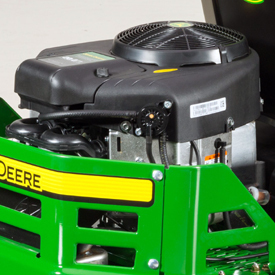 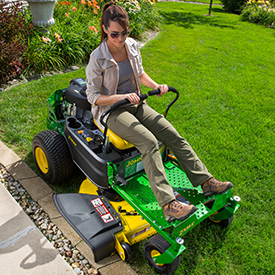 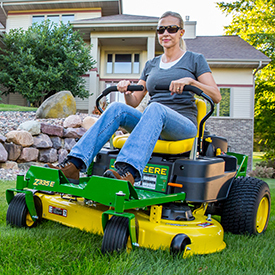 (107-cm) Accel Deep Mower. 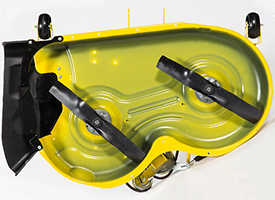 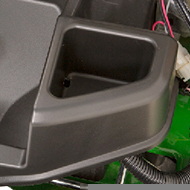 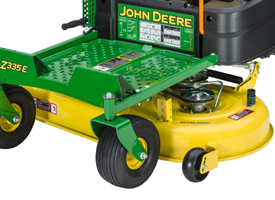 It provides an efficient means of collecting grass clippings and leaves. 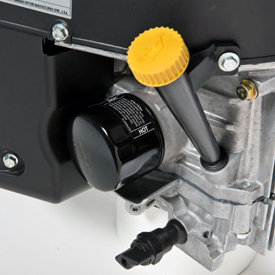 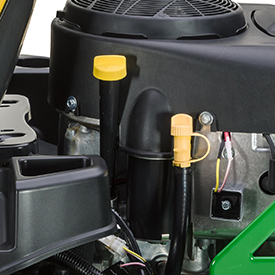 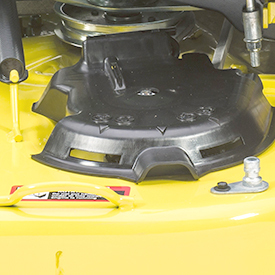 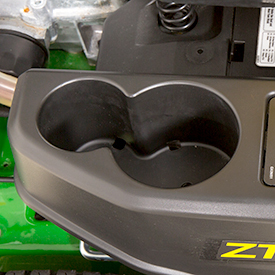 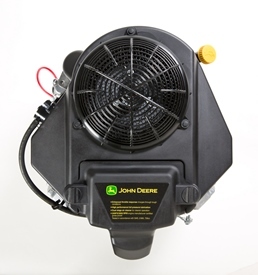 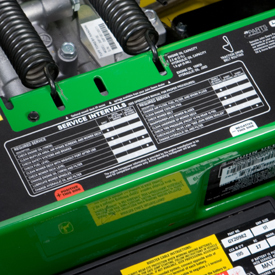 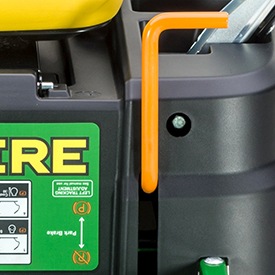 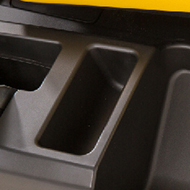 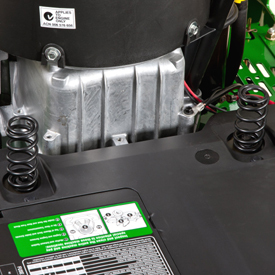 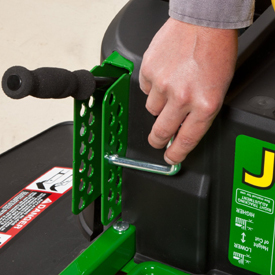 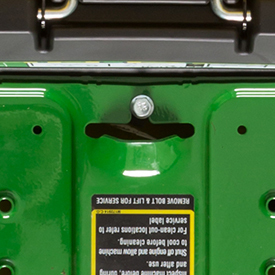 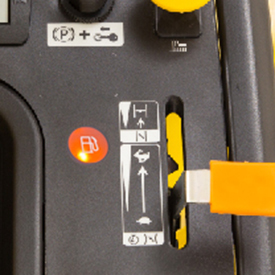 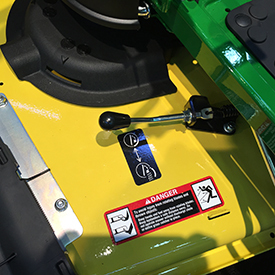 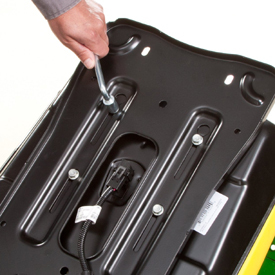 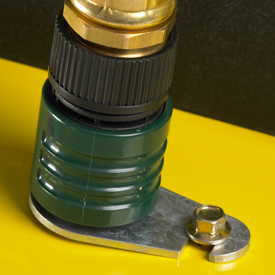 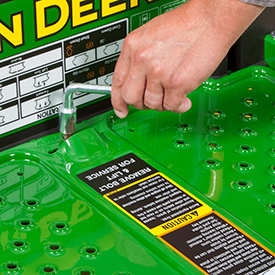 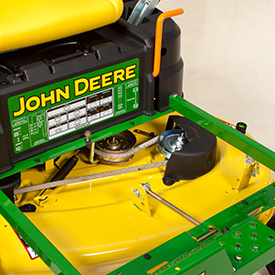 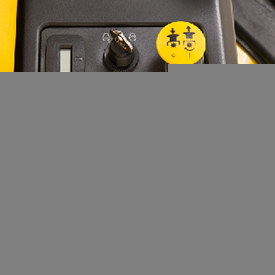 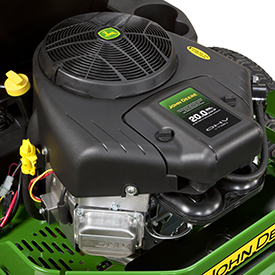 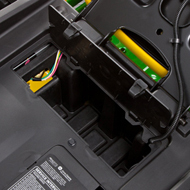 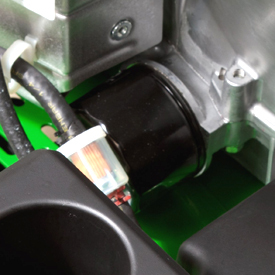 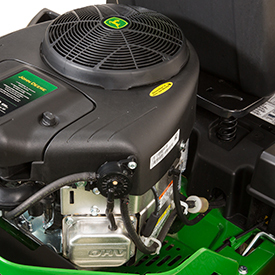 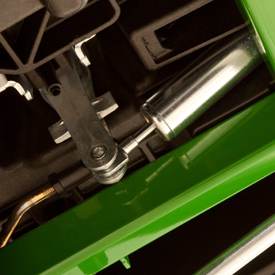 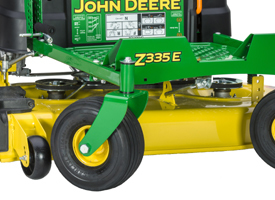 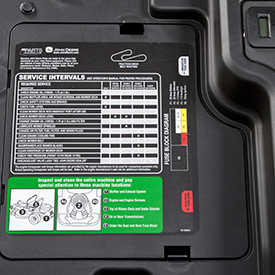 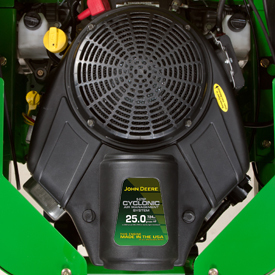 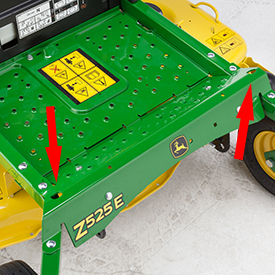 John Deere recommends the use of fuel stabilizer in gasoline. 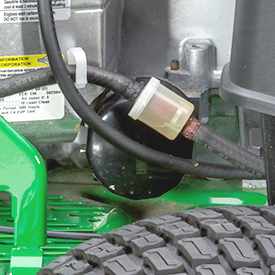 See Fuel-Protect for gasoline engines (8 oz) for more information. 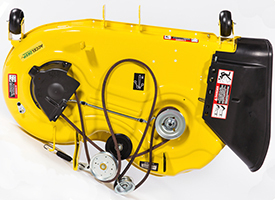 Fuel tank capacity 2.1 U.S. gal. 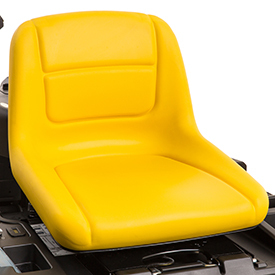 Seat back height Medium-back with armrests, 18 in. 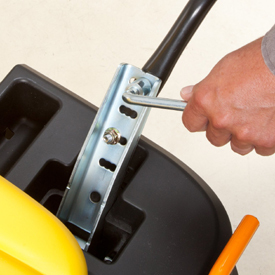 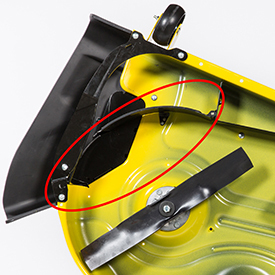 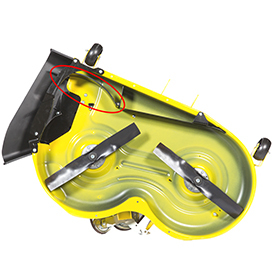 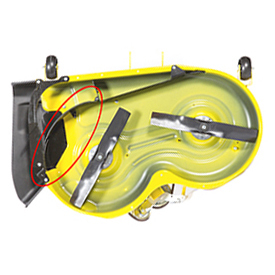 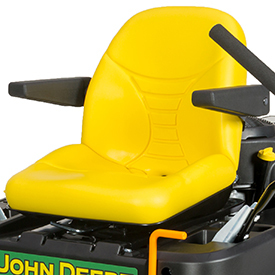 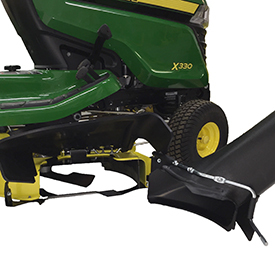 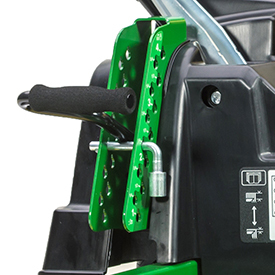 Mower cut height 1-4 in. 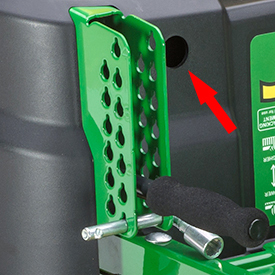 Cut height increments 0.25 in. 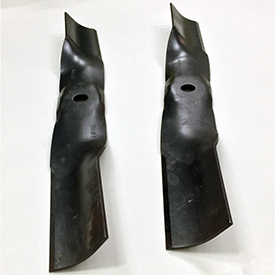 Width of cut 42 in. 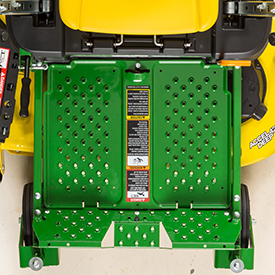 Width without mower 44 in. 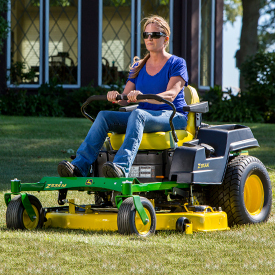 Width with mower 51.9 in. 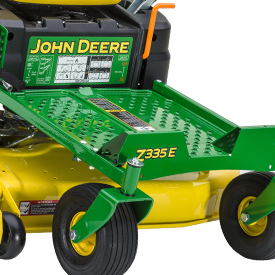 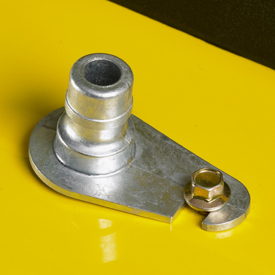 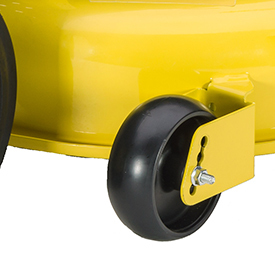 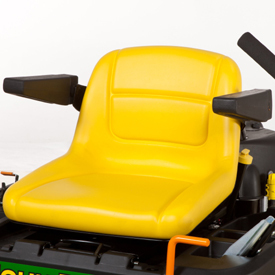 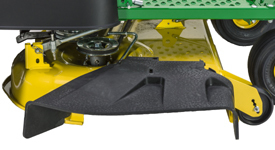 Width with mower (deflector raised for storage) 44 in.